Thank you for your interest in The Sterling Hall School! Our Admissions team is here to guide you. We are happy to answer your questions, help you decide whether SHS is the right school for your son and take you step-by-step through the application process. We will spend time with your son and you, and ensure that your your family experiences the sense of community that is so special here. Please contact Admissions at 416.785.3410 or at admissions@sterlinghall.com to learn more about our wonderful school. We look forward to meeting you and your son. Kate is closely involved with families during the application process and throughout their SHS journey, taking time to get to know every boy and his family. 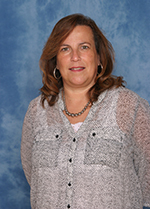 She has a broad knowledge of SHS, gained from directing the Admissions activities, as a member of the Strategic Leadership team, managing the administrative support team and providing executive assistance to the Principal and the Board of Governors. Kate joined Sterling Hall in 2007 and previously held senior roles in marketing and hospitality management. Sarah is uniquely equipped for her role in Admissions. A graduate of Branksome Hall, Western University and D’Youville College’s bachelor of education program, Sarah was a primary teacher at Sterling Hall from 2007-2014. Sarah now turns her attention to prospective families, providing first-hand knowledge of the curriculum, school culture and programs. Cristine’s is likely the first voice you will hear when you call the school and the first face you will see when you visit. Everyone who comes to SHS receives a warm and personal greeting from Cristine. 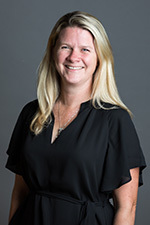 She joined SHS in 1999 and ensures our boys and families feel welcome and at home, as newcomers, throughout their SHS journey and in their alumni years. A member of our Academic Success Team will spend some time with your son to gauge his skills in Language Arts and Mathematics. This is a relaxed and informative session for us to see where your son's skills lie. Sheree is an educator who taught at SHS for 11 years. 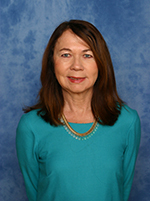 During her extensive career in education, Sheree has taught the primary grades, French, special education and drama. She holds a Master of Arts in English from UofT. Returning to SHS and now on the Admissions team, Sheree feels right at home, serving as an educational consultant and assessor. We are located at the west end of the school, directly beside the Reception Area. Please park on SHS Drive, located on the north side of Bentworth Avenue and enter the school through the glass doors. Check in at Reception and then make yourself at home. Please also feel free to contact us directly. We can be reached through the main telephone number: 416-785-3410 or email The Admissions Office.